Oh my word! This Tres Leches Cake, which in Spanish means 3 milks, is absolutely one of the best cakes I have ever had. It is called 3 milks, because you use 3 different types of milk to soak into the cake. I cannot take credit for this recipe. I use the recipe from The Pioneer Woman’s cookbook1. I love to make it when we have Mexican food for dinner such as tacos or enchiladas. This is a multi-step recipe where you actually make the cake and the whipped cream topping from scratch, but don’t worry. It really is super simple. I promise. Preheat oven to 350 degrees. Grease and flour a 13×9 inch baking dish. Combine the flour, baking powder and salt in a large bowl and set aside. Separate the egg yolks from the egg whites, reserving both. Add the egg yolks and 3/4 cup of the sugar to a mixing bowl. Beat with a mixer until very light in color. Add the milk and vanilla extract to the egg yolk mixture. Beat until just combined. Pour the wet mixture into the flour mixture and stir gently to combine with a spoon. 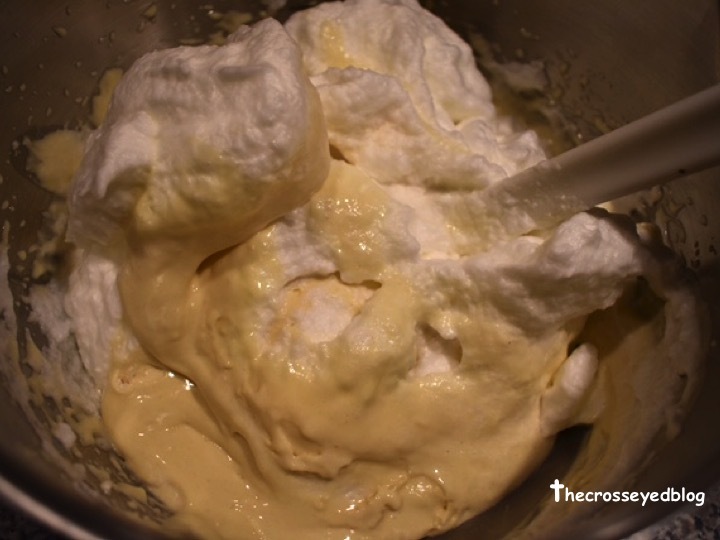 In a clean mixing bowl, beat the egg whites on high speed until soft peaks form. Add 1/4 cup of the sugar then continue beating until the whites are stiff but not dry. Gently fold the egg whites into the bowl with the other ingredients. Be careful not to over mix, but stop just short of everything being totally mixed together. 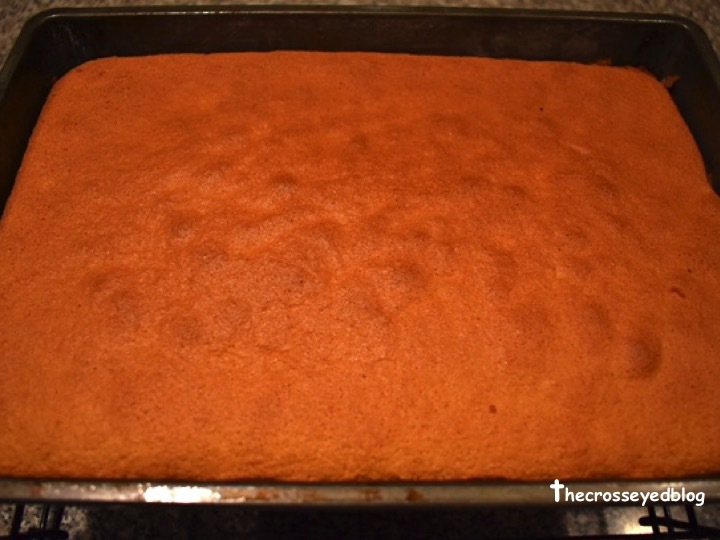 Spread the batter in the baking dish and bake the cake for 30-40 minutes or until a toothpick comes out clean. 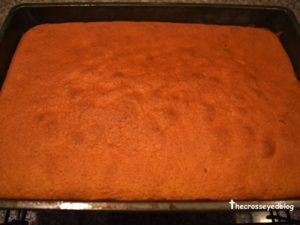 Remove the cake from the oven and allow it to cool completely in the pan. When the cake is cool, invert onto a platter. I use a Tupperware sheet cake container. Poke holes in the surface of the cake with the tines of a fork. Combine the condensed milk, evaporated milk, and 1/4 cup of heavy cream together. 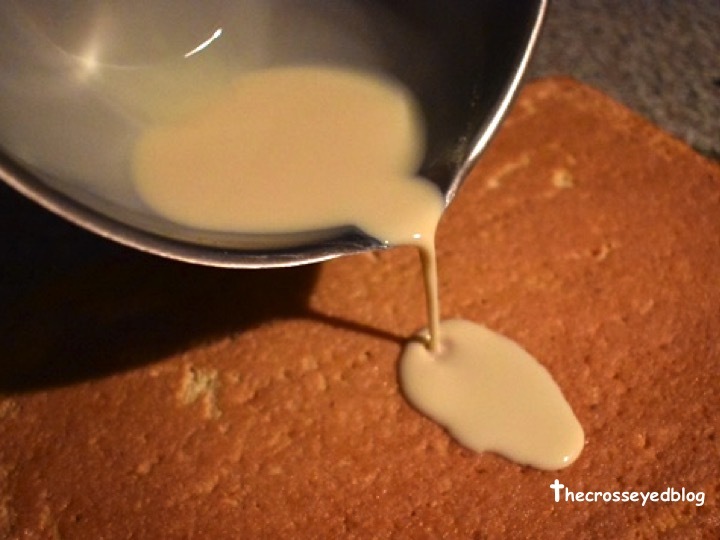 Pour the milk mixture very slowly and very carefully over the entire surface of the cake including the edges. Most of the liquid will be absorbed but some liquid may ooze out, but this is normal. I use the back of a large tablespoon to corral the liquid and spread it where I want it to go. 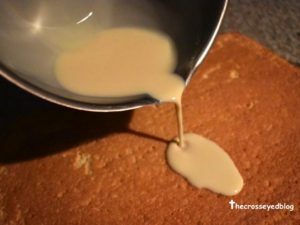 Allow cake to sit for 30 minutes to absorb the liquid. 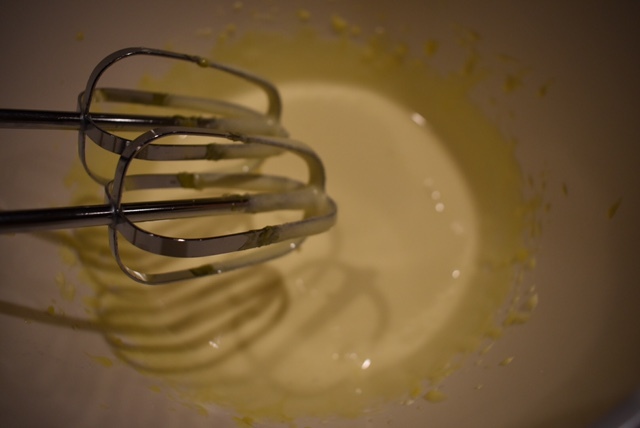 In a medium sized bowl, beat 1 pint heavy cream with the remaining 3 tablespoons of sugar until thick. Spread it all over the top and the sides of the cake. Decorate (if desired) with maraschino cherries. I drain the cherries for several minutes on a paper towel so the cherries will be dry and the cherry juice will not run all over the top of my cake. 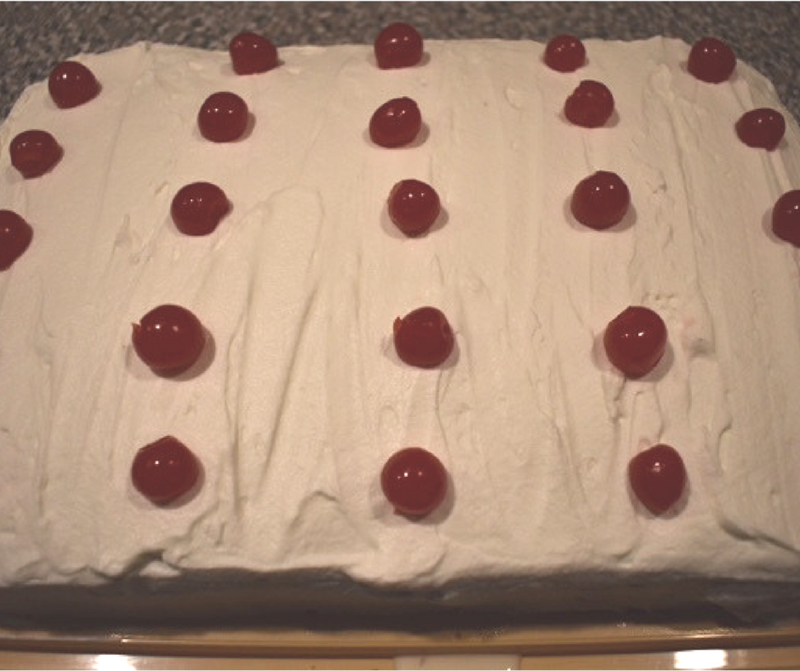 I usually put the cherries in a 4×5 grid or a 5×5 grid pattern making 20 pieces or 25 pieces of cake respectively. Keep leftovers refrigerated. This cake is even better the second day! This cake is so delicious. 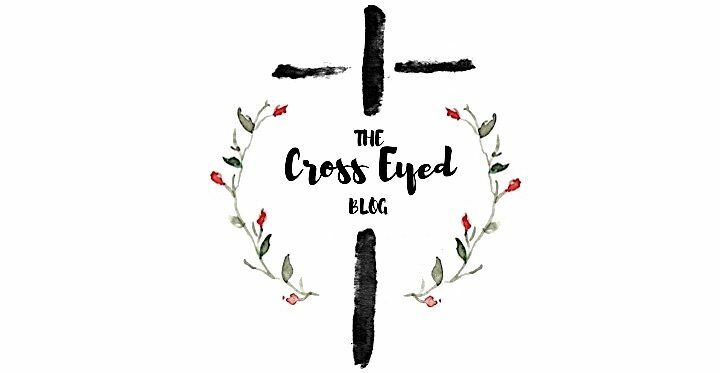 I invite you to try it. You may just fall in love.